Special thanks to our incredible, talented and good-looking guest stars! You did such a great job! 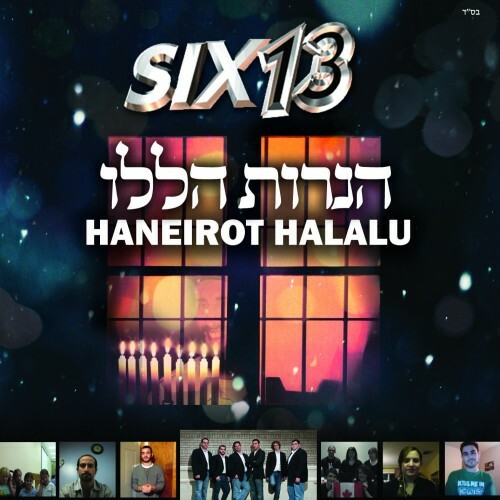 Six13 has been composing, performing and recording original Jewish music for years, but this song is truly special, because we did it not just FOR you, but WITH you. We invited our friends and fans from all over the world to join us in song and help us celebrate the Festival of Lights and wish everyone a Happy Chanukah. We really love the results and we hope you do too! Professional Jewish a cappella group Six13 are the originators of today’s Jewish a cappella sound. They’ve performed to rave reviews for millions of people — at synagogues, religious schools, major sports events, JCCs, fundraising events, B’nai Mitzvah and private affairs alike, and received numerous awards for their four best-selling CDs. To find out more about how to bring Six13 to your community for an event that’s truly unforgettable, visit us at http://www.six13.com.